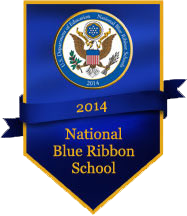 2014 National Blue Ribbon School of Excellence. 100% of TKA seniors accepted to four-year colleges and universities. Teachers engage in ongoing, intentional professional development. Effective classroom instruction; individualized attention. Fully Accredited by ACSI, SACS, AdvancedED, FACCS. Providing an authentic, Christian education is about being real, and delivering on the promise to be a school that genuinely places the Lord Jesus Christ at the center. The King’s Academy is a school where we believe in building lasting relationships. Our teachers love Christ, love students, and have a passion for teaching. The entire staff understands the importance of having Christian character and a worldview that permeates their teaching and lives. As a Christian school we carry out our mission of preparing students to live all of life to the glory of God. Teachers reach deeply into the hearts and minds of their students and seriously pursue the simultaneous development of the spirit and mind. Every member of the school community is important. We insist on individual standards of commitment and excellence. We equip our students to respect others, build lasting friendships, and respect different cultures. We foster an environment of learning and service. WHERE DOES A TKA EDUCATION LEAD? Each year eight out of 10 TKA students get into the first university of their choice, and 100 percent of TKA graduates head for colleges and universities, including: University of Florida, Florida State, Liberty, University of Miami, Vanderbilt University, Michigan State University, University of Central Florida, Georgetown and Syracuse. TKA has a distinguished history of college scholarship recognition for excellence in academics, fine arts, leadership and athletics (our most recent graduating class earned college scholarships totaling nearly $7 million). Our alumni are scientists, business leaders, entrepreneurs, government leaders, performing artists, Pulitzer-Prize winning journalists, and critically acclaimed novelists.